Director Luke Huxham was kind enough to send us his latest gorgeous work in 4K, also explaining in detail what it was like to chase a Ferrari F40 up a snowy mountain as the snow chains keep hitting the carbon kevlar wheel wells. If you haven’t seen Red Bull’s Snow Camp Feat. Ferrari F40 video yet, I suggest starting right there. Like, watch it at least three times in a row, because it’s that great. Today it’s in glorious HD on YouTube as well. Projects like this always start with a slightly crazy person. In this case, that would be Kimura-san. 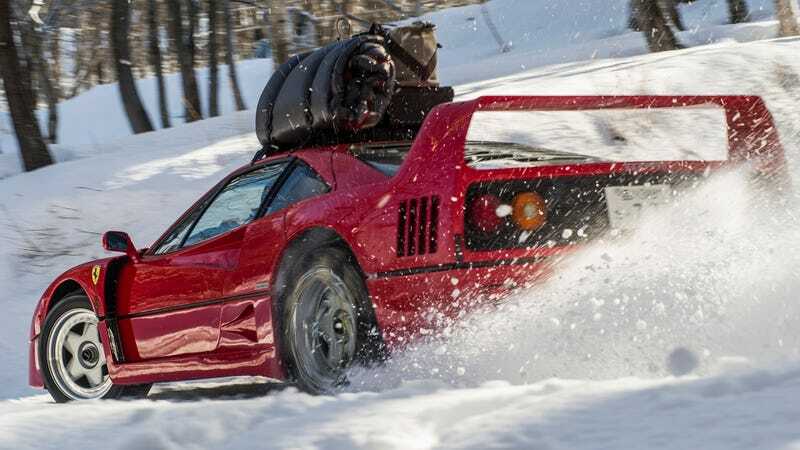 As McMike pointed out, this high-speed camping trip wasn’t his first rodeo with the F40. Ferrari F-40. Will It Wilderness? Yeah, I guess it can. After all, turbos love cold air.